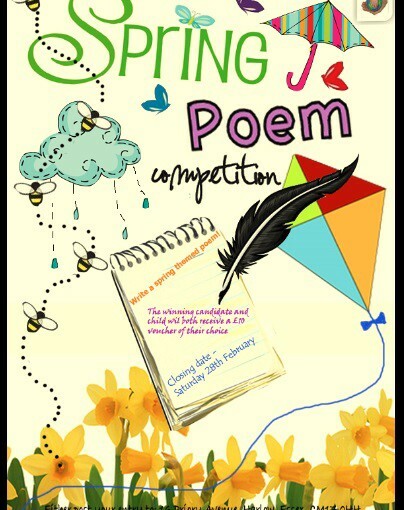 It is time to get those brains working and write a spring themed poem!! Please see the leaflet below for further details. Entries needs to be sent back to us by Saturday 28th February 2015. We look forward to reading some beautiful pieces of writing!